In a world full of free e-book downloads, free podcast subscriptions and data noise, most subject experts or authors don’t know where to go next with their respective intellectual property. I’ve had so many clients over the years, who have had great success in publishing books, only to make a cents on the dollar for each sale. A great accomplishment and accolade with little return in my opinion. I was in a similar place a little over a year ago. I had all the connections I needed to get my How to instantly up-sell Groupon customers curriculum out to market as a book. Instead I approached it from a different angle and here’s why: If I didn’t have time to read a whole book, then how could I expect a small business owner to take the time? I started seeking solutions to help me get my intellectual property delivered as easy pay-per-download nuggets. That made the information easy to absorb and ultimately retain for my viewer. The other great thing about delivering my intellectual property in this manner was in the ease of marketing! I’m a fan and client of Lisa Sasavich, who coaches on the subject of getting massive traction to teleseminars. I simply applied her model to promoting my learning center and my sales shot through the roof the very first month of release. So how does one build a dynamic audio/visual learning center that collects member information (database boost), serves as a point of sale and delivers content in a turn-key manner making you money while you sleep? Easy. 1. Collect your assets. That means all your photos, audio recordings, awards, social media posts, slides, speaker notes and curriculum notes. 2. Create “buckets”. Literally, get some bins and start separating all your goodies into these containers. Don’t have tangible goodies to put into buckets? Then get your smart phone out and start taking pictures of stuff you’d like to include in your learning center. Not sure what to take pictures of? Go online and take screen shots of everything you’d like to see included. Even if it’s other people’s stuff, that’s ok; because you’re just using it as your reference point. In fact when I’m in this phase, I like to make Pinterest boards out of all my content reference points. 3. Label Your Stuff into “Modules 1-5”. Most online learning centers are about five modules big. Remember, we live in a culture of data overload, so keep your stuff nice and simple, easy to absorb and not a giant undertaking for your viewer. After all we’re not taking them through a grad program here. Learning centers are supposed to be fun, enjoyable to watch and above all, easy to engage with. My learning centers have the ability to download worksheets and additional audio/visual files. I call these my “expansion pieces”. They are optional but available if the viewer wants more depth. So don’t sweat it. You’ll get it all in there one way or another. 4. Produce quality. Once you’re ready to start putting it all together, lay it out as Power Point slides. It may seem like an extra step, but soooo worth it when it comes to really producing a quality informational product. This step will also help your production team navigate quickly and easily though each of your modules. Best part is that you can instruct the team where you want certain videos, photos, notes to be used right there in the speaker notes section of each slide. 5. Build it! It’s important to use the right team, one that has experience in building membership based learning centers. I spent months assembling my programmers, webinar experts, teleseminar marketing specialists and technical advisers. I did this because I wanted my learning center to be self contained (not make members have to jump around to different platforms). Finally, I needed the design to be a reflection of my brand, so that was a top priority too! 6. Market it! Once you’ve organized it and built it, you need to market it! Like I said earlier, I contracted teleseminar sales experts to train me up in this area. The most common thread among these folks: FREEBIE DOWNLOAD! That’s right, if you offer a freebie download with nuggets from your online learning center, you’ll constantly have endless warm leads to be working with. 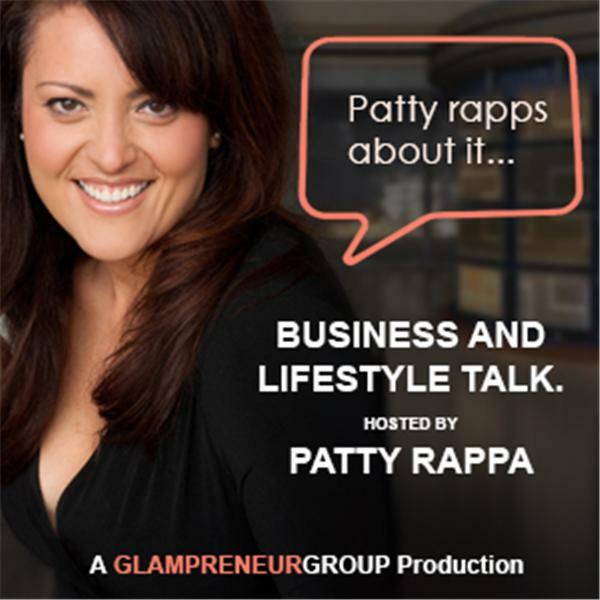 This entry was posted in Business 2.0, email marketing, entrepreneurship, Glampreneur, Internet marketing, internet marketing strategy, marketing and tagged business, glampreneur, learning centers, online training, patty rappa, sales, speaker tools, trainer tools. Bookmark the permalink.